Currently in the Ways and Means Committee awaiting a hearing date, IOWA HF738/HJ538 (formally HSB227) is a job-killing, animal rights-driven legislation requiring anyone with 5 or more intact dogs to register as a Commercial Breeder, prove financial viability, agree to surprise inspections, microchip all puppies, have vet inspections of potential breeding animals, provide for seizure and destruction of all animals with any non-compliance, mandatory animal “affection”, and much MORE! (1) Selling five or more dogs or cats to a commercial breeder, a commercial dealer, or a pet store during that period. (2) Selling forty or more non-adult dogs to persons on a retail basis during that period. Must provide evidence of financial responsibility consisting of an instrument, including a surety bond, a liability insurance policy, or an irrevocable letter of credit issued by a qualified financial institution as defined in section 12C.1, 33 and naming the department as the beneficiary. The department to conduct a check of the applicant’s criminal history record going back 20 years. A commercial breeder shall not transfer a dog to another person until it installs an electronic device beneath the skin of a dog which must contain dog's entire health history. A commercial breeder shall provide the dog with an adequate ration of food at least twice a day. A commercial breeder shall ensure that a primary enclosure located outside a facility shall be used only if a veterinarian approves such use. A puppy may be maintained with an adult dog only if the adult dog is the puppy’s dam or foster dam. The dam shall not be bred unless she has a normal body condition and has been declared healthy by a veterinarian following a physical examination. 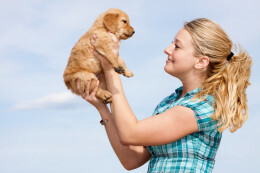 Commercial Breeders shall provide human interaction for at least fifteen minutes each day in addition to any interaction that occurs during any period reserved for providing the dog with food or water or sanitizing its primary enclosure. The interaction, at a minimum, shall include verbal and tactile stimulation in a positive and beneficial manner. The department shall prepare and file an inspection report after the inspection which shall be made available to the public on the department’s internet site. The department shall conduct an unannounced inspection of the business premises of a commercial breeder at least once during each license period. The department may seize and impound all animals if the commercial breeder fails to meet a standard of care requirement described in subsection 2. The animals may be sold or destroyed. This legislation imposes a violation of due process by displacing one's animals before any disposition. This Bill is prejudicial and unconstitutional – violations of Amendments 4, 5, 8, 14 from being secure in our effects to deprivation of property without due process. As the bill is written, one’s property may be seized for ANY violation of standards of care. It can be as simple as a tipped water bowl, the floor not swept, the trash not emptied, some grime. This bill is also a catch 22 to the aforementioned. Flooring must be either solid or slatted. That means the dogs would be subject to walking and lying down in their own excrement as it would not be able to fall away. Feces and urine on the dog’s feet and coat, would be deemed a violation. A violation for following the regulations!!! ALL your animals may not only be seized, but you will be fined FIVE HUNDRED DOLLARS PER DAY PER OFFENSE. Then one can couple that with one of the other bills, SF 57, SF 369, HSB 114 that increases penalties, some to the point of being unable to live in the family home for NOT LESS than THREE YEARS if ANY animal is present. What other business has such outlandish penalties? We ask that you OPPOSE this intrusive anti-business legislation NOW by sending your emails to key Iowa legislators.